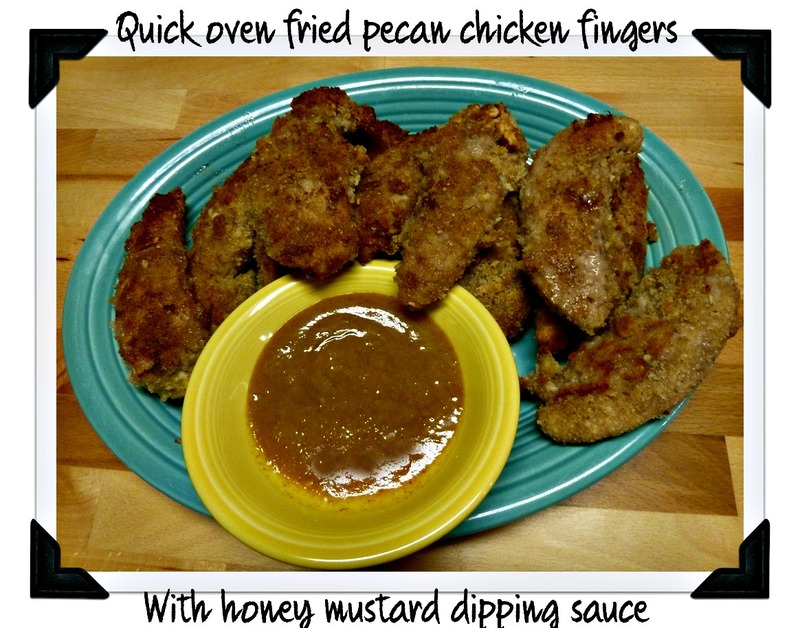 Are you looking for a quick, easy recipe for chicken fingers? And why fry when you can oven fry? It’s so easy and in 30 minutes you will have a delicious plate of crispy chicken fingers. Chicken tenders are inexpensive and often on sale so they are thrifty as well as yummy! The addition of pecans gives just a touch of nutty flavor. 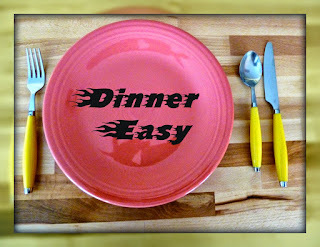 Make this recipe on busy nights when you have better things to do than slave in the kitchen and then just sit back and listen to all the complements. To make the coating mix, add the panko breadcrumbs and chopped pecans to a food processor or blender and pulse until both are well blended. Stir in the salt, pepper, and poultry seasoning. Add each tender to the beaten egg and then dredge in the breading mixture coating both sides. Set aside. Line a large cookie sheet with non-stick foil and coat with a couple tablespoons of light olive oil, spreading it out thinly. Place the breaded chicken fingers on the prepared cookie sheet leaving space between each of them. Pre-heat the oven to 400 degrees. Bake for about 30 minutes, turning them to the other side when halfway done. Cook until the chicken fingers read 160 degrees on a meat thermometer. Add the honey, pancake syrup and spicy brown mustard in a small bowl. Mix well and serve with the chicken. Visit Make it easy crafts and Bowdabra blog for more "dinner easy" recipes, hair bows and craft tutorials!